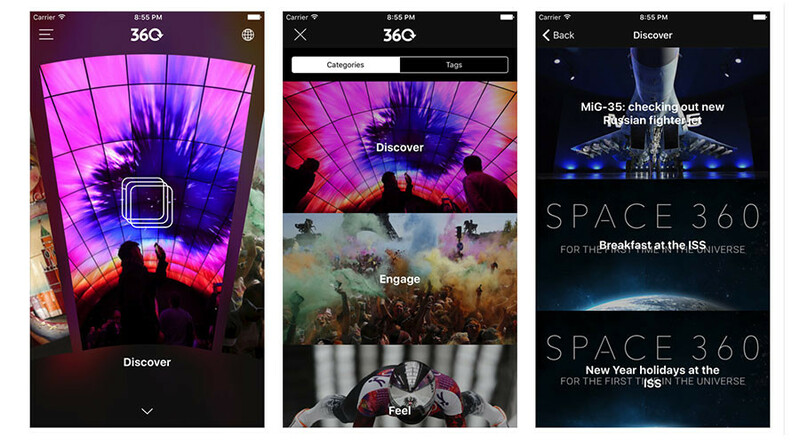 RT360, an app that allows thousands to enjoy panoramic videos as they should be – on mobile devices – has been completely remade with an intuitive interface that doesn’t just let you pick a clip, but understands why you are watching a 360 video in the first place. 360 videos are often clumped together simply because of the technology used to produce them, but the content in each exists on a spectrum between news to education to entertainment. RT360 lets the user decide what they want from it, by choosing one of the three main categories: Discover, Engage, and Feel. Discover videos allow the viewer to learn new information, literally seeing stories and places from a new angle. Among the most popular recent videos are Space 360, the first-ever panoramic documentary shot at the International Space Station, in which cosmonaut Andrey Borisenko takes us through a tour of its nooks and crannies. The series has been nominated for the prestigious Shorty Awards. — RT (@RT_com) 25 января 2017 г. There are also 360 tours of Aleppo and other warzones – videos that convey the horror of war better than a dozen conventional reports, and are truer than any film. Videos in the Engage section are dedicated to a particular issue, which evokes a strong response in the audience. Popular 360 videos include migrant evictions in France, military drills between Russia and China, and a festive Orthodox service at Russia’s most important cathedral, Christ the Savior, in Moscow. The third category, Feel, is about the pure thrill of seeing life through 360. Clicking on it will let you fly a plane – or sky dive from one – become an urban explorer atop a skyscraper, or ride through a wintry Siberian road on a snowmobile. Of course, traditional categories and search options are still available, and the number of tags has been expanded, meaning that it is easier to search through the hundreds of videos that RT has uploaded to its app since launching it in 2015. Whatever the user decides to do, the interface itself has been remodeled as a panoramic experience, making each menu a circle to be cycled through, and providing screen-filling previews of the clips. “Everything was designed so that the user would enjoy a unique experience,” says Chudnovskaya. 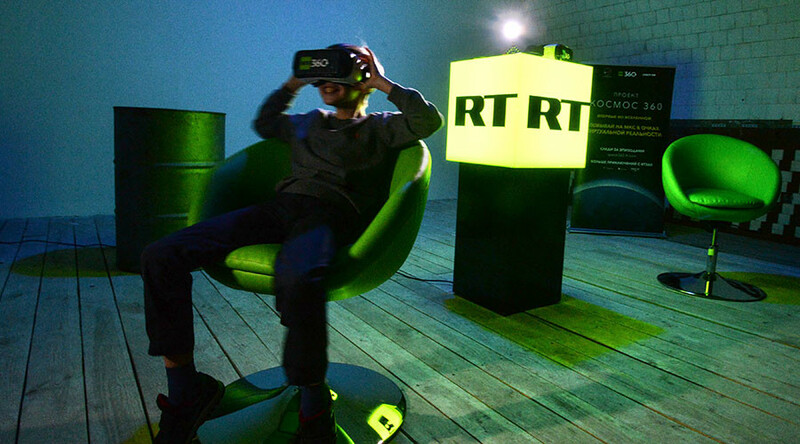 RT was one of the earliest media companies to adopt the 360 format, and plans to continue rapidly expanding its library, as well as the types of stories for which panoramic video is used. RT360 has been downloaded tens of thousands of times, and has been nominated as the Best Video & Photo App at the Shortys. If you have already downloaded it, and like it, you can vote for it here. If you want to try RT360, it is available through both the App Store for iPhones and iPads [LINK: ], and from Google Play for owners of Android devices.